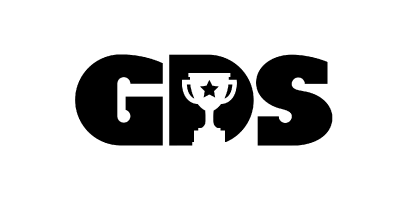 To positively influence our next generation, GDS works alongside the bests of schools to enhance students’ athleticism and physical health at all age groups. We’ve had the fortunate opportunities to partner with wonderful schools in developing their physical education courses, after school sports programs, basketball curriculums, and also team sports training at JV and Varsity levels. Our doors are always open for new challenges in improving your school’s sports needs. Please contact us at info@gdsports.com for any inquiries. We look forward in hearing from you! GDS worked closely with Taipei American School (TAS) in extensively training their High School Varsity & Junior Varsity Boy’s Basketball Team. Coach Sam trained the boys three times a week, focusing on upgrading each players’ explosiveness, fundamentals, CORE, techniques, as well as mental toughness. In 2013, after intensive training with GDS throughout the summer and offseason, the Varsity team broke a 20-year curse and brought home the first gold medal in the legendary IASAS Basketball Tournament. GDS worked with Grace Christian Academy (GCA) in improving the school’s Physical Education Curriculum as well we training their High School Varsity Boy’s Basketball Team. Coach Sam worked with the team couple times a week, focusing on the team’s basketball fundamentals, techniques, explosiveness, team chemistry and more. Coach Sam led the school to various national basketball tournaments to increase their competitiveness and experiences. GDS provided Tree House Academy’s Kindergarten students with a customized 19-weeks elite basketball team training program following The American AAU Club Certified Team Structure. In addition, GDS also organized an 11-week basketball course for the 5-8 year old elementary school students two times a week. In doing so, we provided kids with the opportunity to advance their individual and team basketball skills through inspiring training and fun games, while fluidly cultivating the students’ basketball foundation at a young age. Working closely alongside the enthuisiastic PTA team of Ms. Lam Tian Mu Montessori, GDS opened an ongoing afterschool basketball class for the 3-6 year-old Kindergarten students at our Tian Mu classroom. Each week, our patient coaches progressively teaches the young kids about the fundamentals of sports through interactive and fun training. In a span of a few months, the kids have drastically improved in their dribbling and shooting skills! In the summer of 2015, GDS customized a one-of-a-kind Summer Camp program for Happy Kids’ 3-6 year old kindergarten students where the children alternated between basketball and soccer training through fun, attention-grabbing games and activities. GDS was also fortunate enough to host a “Sports Day” for Happy Kids’ 2018 Summer Program with a full day of entertaining games, organized drills, and indirect training for the little ones.